The Alabama/Florida Gulf Coast is one of the best-kept secrets in the country. With nearly forty miles of white sand beaches and warm turquoise waters lining this southern coastline, it's hard to find a more desirable beach destination to call home. Orange Beach and Gulf Shores condos and homes offer a convenient and relaxing waterfront lifestyle with plenty of attractions and amenities nearby, making these communities perfect for singles, families, and retirees. Perdido Key, FL, known as the "Lost Key," is a hidden gem of untouched beaches and clear coastal waterways. Numerous luxury condos and homes along the Perdido Key coast provide a quiet escape to the shore that cannot be beat. 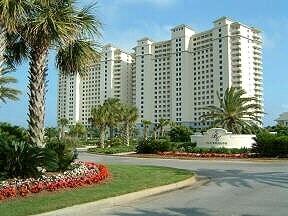 Orange Beach, AL condos offer pristine beaches that attract people from all around, without ever getting overcrowded. The high-end luxury of Orange Beach condos is made evident by the stunning architecture and expansive living spaces. Condos in Orange Beach offer direct access to the Gulf of Mexico through Perdido Pass, which is attractive to boaters and residents who are drawn to the inviting waters of the Gulf! Among Gulf Shores, AL condos for sale, there's a mix of older and newer beachfront condos available, as well as an impressive selection of single family Gulf Shores homes for sale, all of which offer second-to-none access to fishing, diving, surfing, snorkeling, and other exciting watersports. Perdido Key, FL shares the white sand coastline with Gulf Shores and Orange Beach and is found just over the AL/FL state line. With its natural beauty, long stretches of State and National Park land, and proximity to Pensacola, Florida, Perdido Key has become a well-known destination to enjoy the feeling of being "away from it all" yet close to all major attractions and conveniences. To start searching for Gulf Shores, Orange Beach, and Perdido Key condos for sale, explore the Gatti Team's advanced MLS® Listings Search. To save time on your next visit by saving your custom searches and favorite listings, register for a free account. You'll also receive updates when new properties matching your criteria enter the market! The Gatti Team is your top resource for Gulf Shores condos, as well as condos in Orange Beach and Perdido Key! With over 20 years of award-winning experience, the Gatti Team at RE/MAX of Orange Beach can give you the best resources for buying and selling coastal real estate. Give yourself peace of mind in knowing that your real estate future is in good hands. Contact us today! To see what past clients have to say about the Gatti Team, read our reviews on our testimonials page. Whether you're looking for a detached home or a condo, we have the expertise to find you your dream home! The Al/FL Gulf Coast offers a wealth of attractive options across all price ranges to anyone looking for a new home. When you manage to drag yourself away from the beaches, you can explore the enchanting Alabama Gulf Coast Zoo, take part in recreational water sports and boating, and enjoy freshly-caught seafood at nearby local restaurants. Gulf Shores condos are in close proximity of three stunning, top-ranked golf courses, each with their own unique personality. 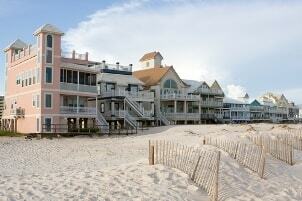 Orange Beach condos make for perfect year-round residences or seasonal vacation homes. Perdido Key condos for sale offer exclusive access to gorgeous private beaches. The Gatti Team specializes in homes for sale in Gulf Shores, Orange Beach, and Perdido Key, FL. Are you interested in learning more about coastal property? Contact The Gatti Team today! We are always here to help. Call today!